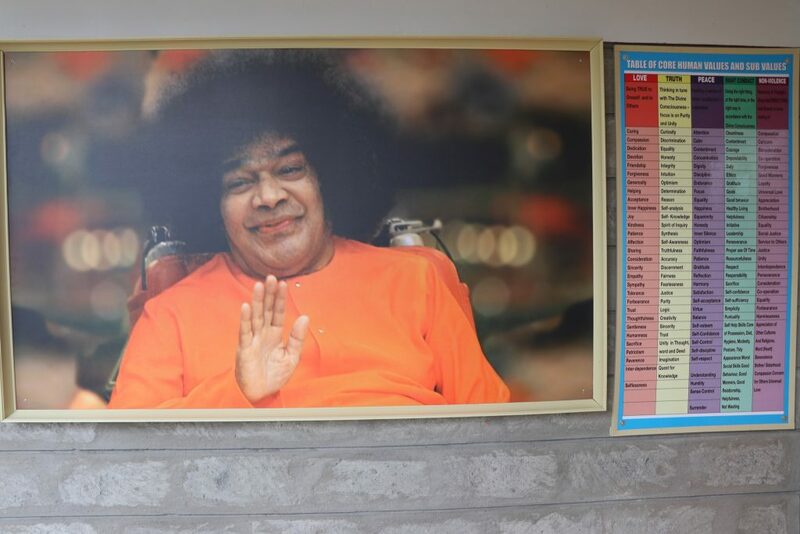 Sathya Sai School – Kisaju was founded by Sri Sathya Sai Baba in 2001. 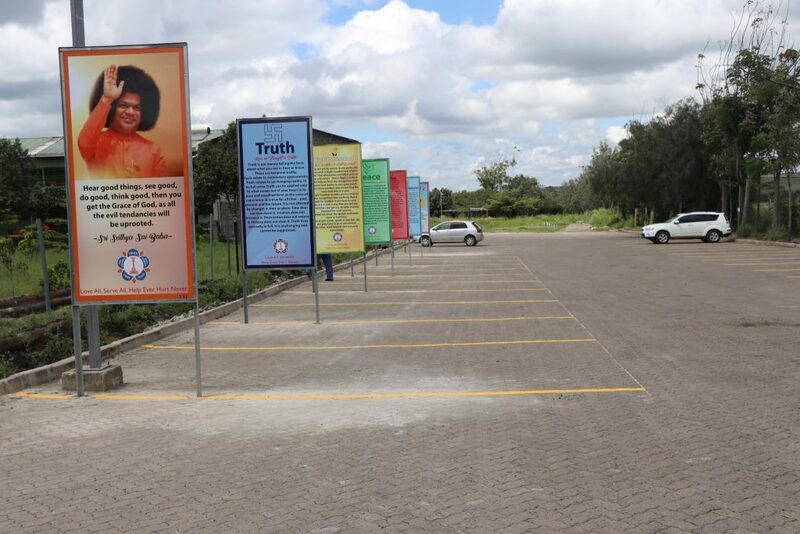 It is operated under the Sri Sathya Sai Education Trust – Kenya, and is a project of Sri Sathya Sai Centre – Kenya. 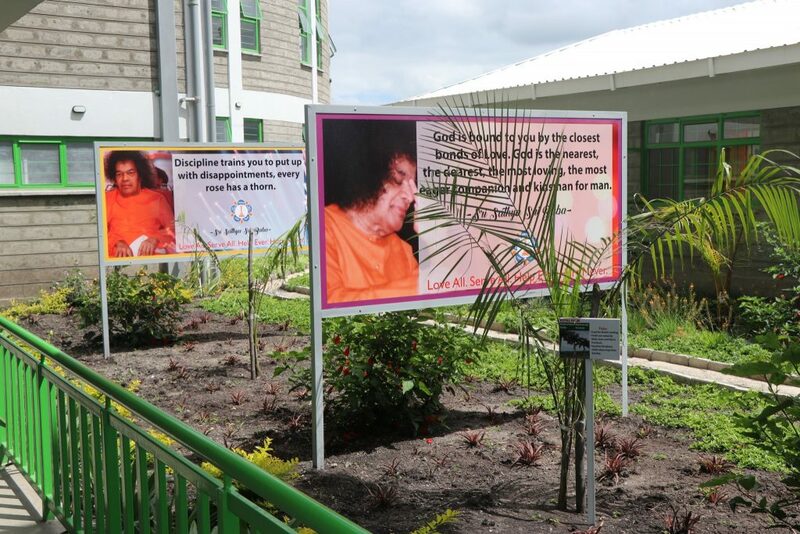 The school is a non-profit organisation with the aim of providing free education, boarding and lodging to destitute and marginalized children and educating them with a focus on the five Human Values of Truth, Peace, Right Conduct, Love, and Non-Violence. 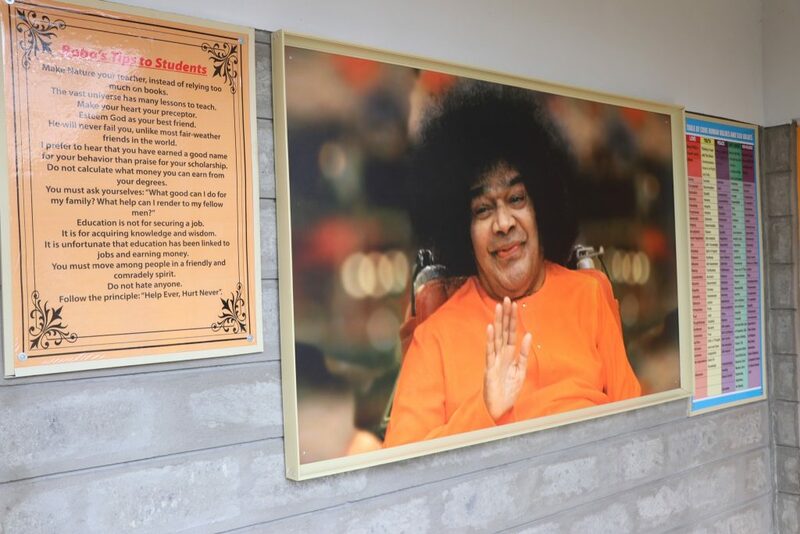 SSEHV or Sathya Sai Eduction in Human Values is a core part of the curriculum. 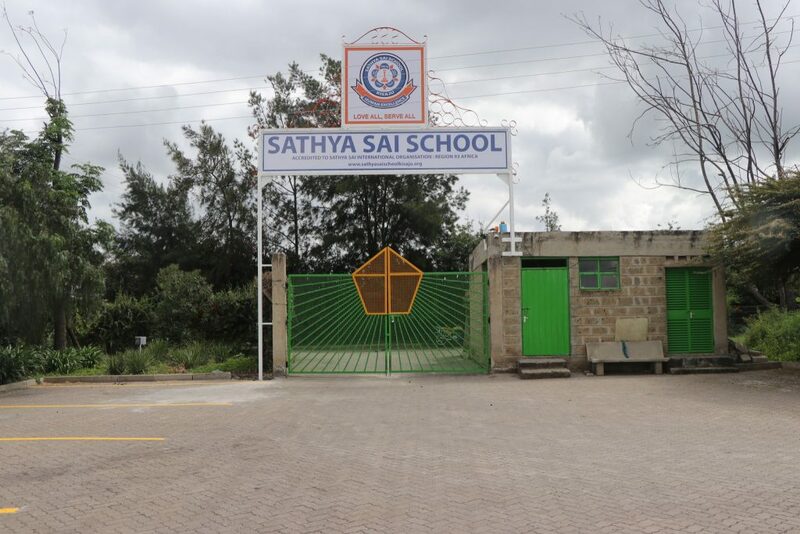 Sathya Sai School – Kisaju started its operation from January 2001 with Class (Grade) 1 & 2 with 32 students. 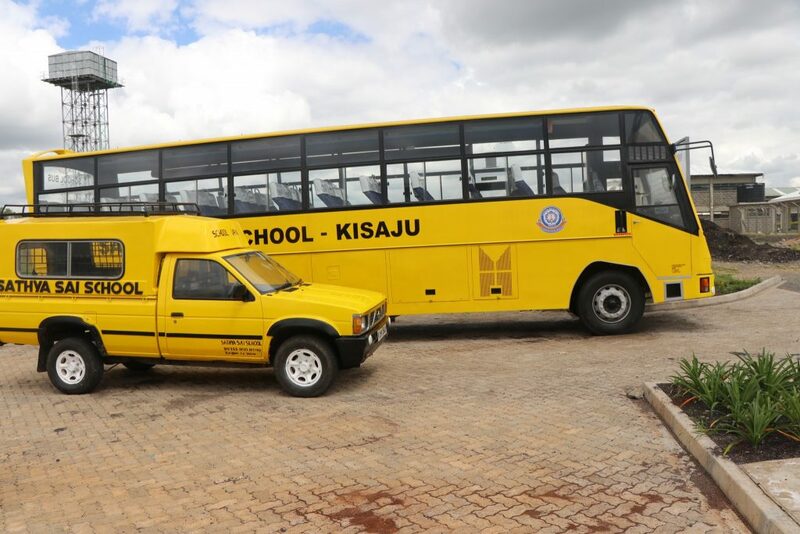 Every year one class was added and by January 2007 the School became a full-fledged Primary School with Classes (Grades) 1 to 8 and 1st batch of Class 8 students appeared for the KCPE (Kenya Certificate of Primary Education) National Exams. 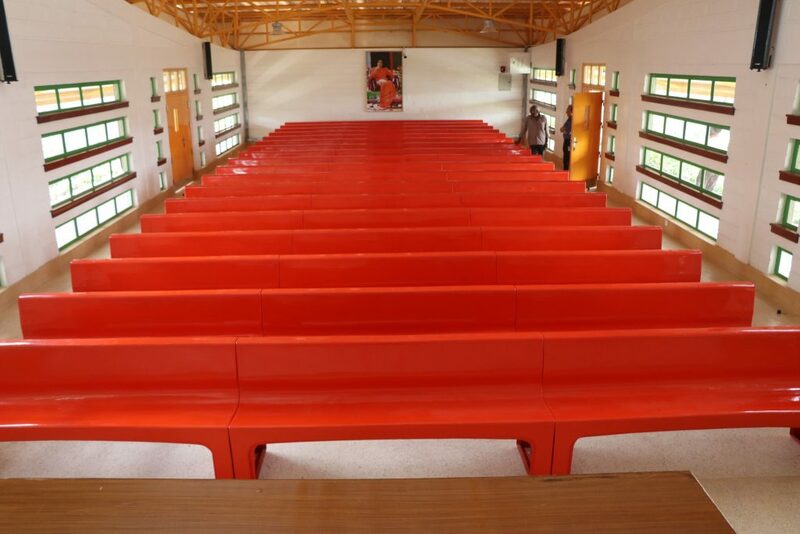 Four buildings for classrooms, library, administration offices, dormitories, kitchen, and staff quarters. 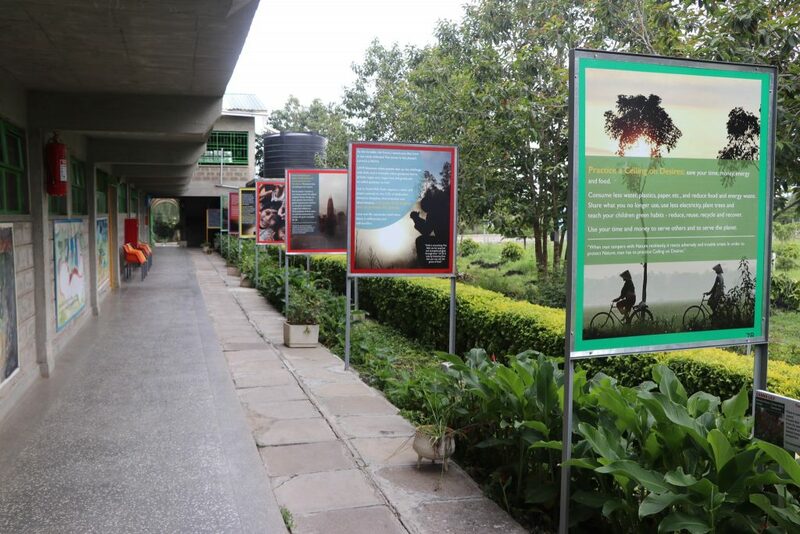 Human values garden, where students assemble daily to gain human value education as well as maintain the garden which has exotic plants and flowers. Large grounds for sports and farming activities. 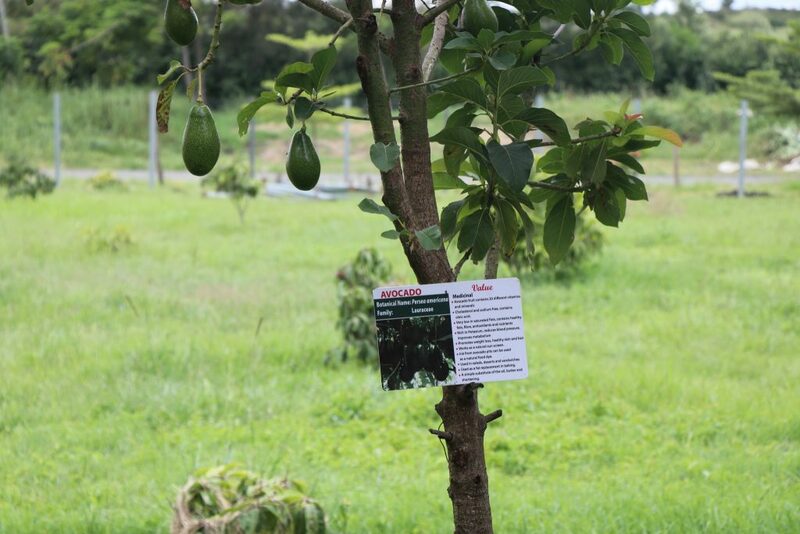 Sai Farm – A farm maintained by the students that teaches them farming methods as well as helps the school to be self-sufficient for their vegetables and fruit requirements. 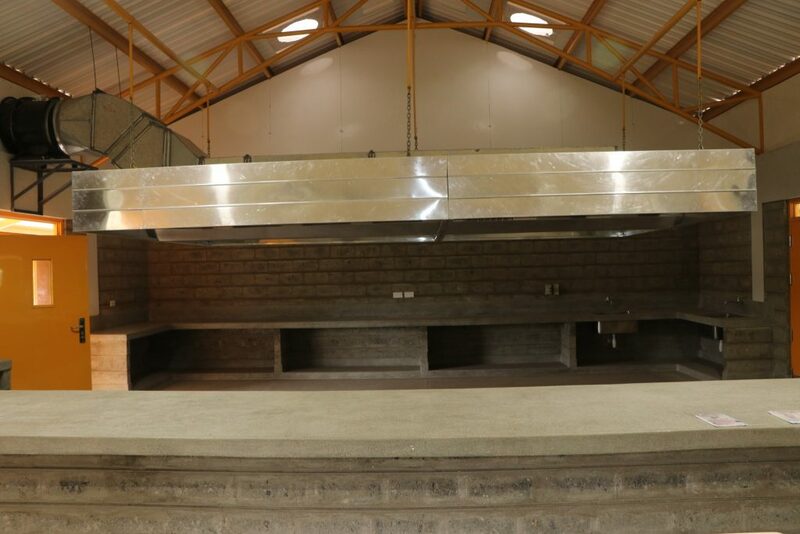 Water tank that draws water from a borewell to supply water to the school. 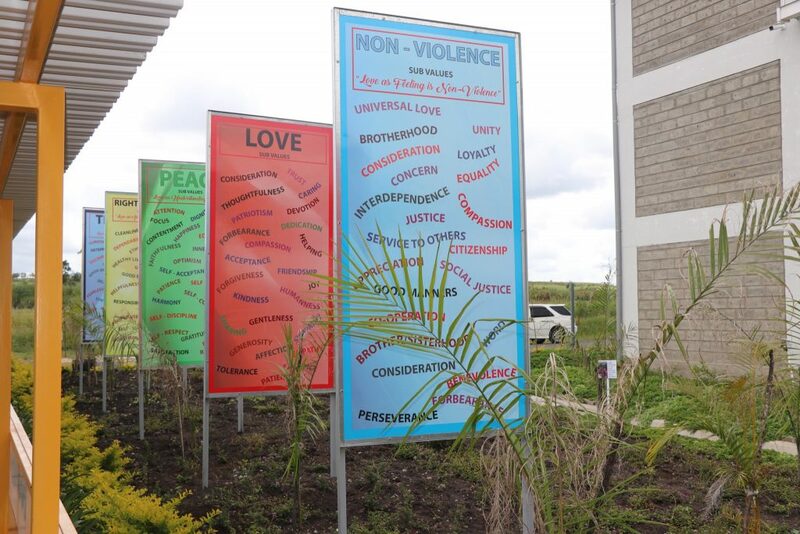 Students are taught farming, computers, carpentry, and physical education in addition to regular school lessons to teach them various skills and to be self-reliant. 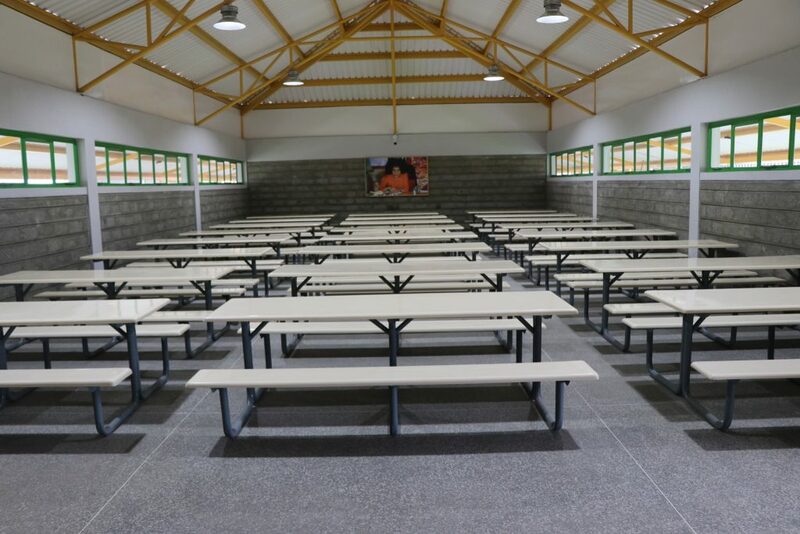 Dormitories, Full Kitchen, and Dining Hall. 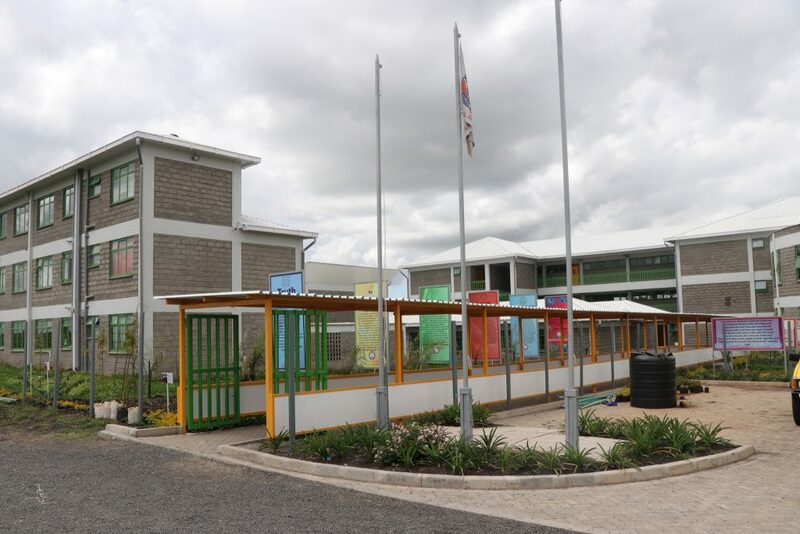 The secondary school started in 2018 with Form 1 and Form 2. 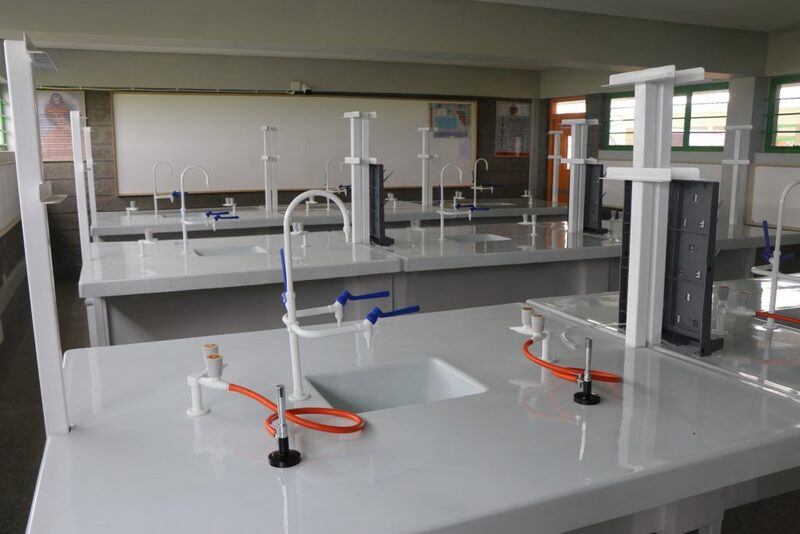 It features state-of-the-art facilities such as smartboards in all classrooms, modern labs, music rooms, a multipurpose auditorium, and sports facilities. 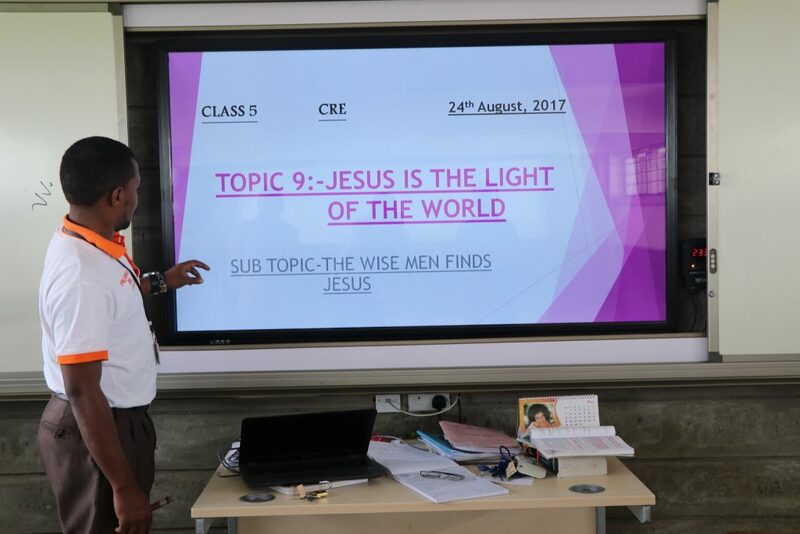 "Come to me, eager to learn, to progress, to see yourself in Me, and I shall certainly welcome you and show you the way. 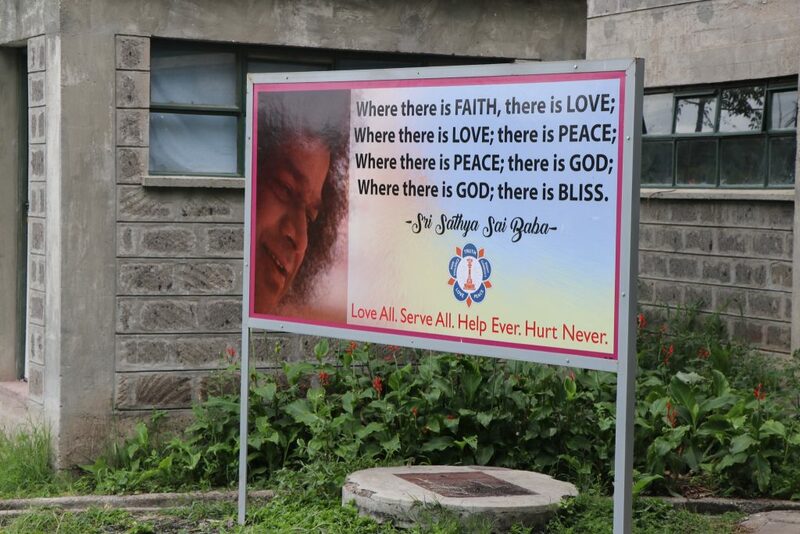 You will indeed be blessed."